Clay court tournaments in Gstaad and Bucharest concluded on Sunday with home players both winning! Simona Halep was not a surprise champ in Bucharest as the number one seed and only top 20 player competing. However, Viktorija Golubic was an unexpected winner in the inaugural tournament in Gstaad, which miraculously finished on time in glorious sunshine following a rain-soaked week. This is a media round-up of both Gstaad and Bucharest, as well as other talking points from the world of WTA tennis. Normally the week after Wimbledon is pretty quiet but there were some big storylines! Take a bow, Viktorija Golubic. The 23-year-old has had a remarkable run stretching back to the Fed Cup semi-finals where she produced a pair of inspired performances to come from a set down to beat both Barbora Strycova and Karolina Pliskova. On home soil again in Gstaad Golubic shone, racking up wins over Mona Barthel, Evgeniya Rodina, Carina Witthoeft, Rebeka Masarova and Kiki Bertens. Golubic came from a set down in the final to defeat the Roland Garros semi-finalist, 4-6 6-3 6-4. There were some lovely scenes at the end! Golubic will crack the world’s top 100 for the first time in her career. She’s actually projected on the Live Rankings to go up to number 72! While the rain did wreak havoc in Gstaad, the players seemed to enjoy this new tournament. I was lucky enough to visit this area of Switzerland a few years back and the scenery is stunning! Loveeeed this feature with Jelena Jankovic and Bethanie Mattek-Sands at the Glacier 3000. I was disappointed that Gstaad wasn’t on TennisTV this week otherwise I would have watched some of the tennis. Aside from Golubic’s run, Rebeka Masarova had a wonderful week. The 2016 French Open juniors champion won her FIRST ever match on the WTA tour, beating Jelena Jankovic in the first round. She didn’t stop there, also securing victories over Anett Kontaveit and Annika Beck before eventually falling to the eventual champion, Golubic in the semi-finals. Wow. Wild card Rebeka Masarova, 16 years old, beats Jankovic, 16 64 62 in Gstaad. Simona Halep looked to be in a spot of bother after dropping the opening set of her first round match in Bucharest. The Romanian player rallied in that particular match and came through the next four, dropping a double bagel on Anastasija Sevastova in the final. While Sevastova’s head dropped towards the end (it was heartbreaking to see a tear roll down her face at the end) Halep produced an inspired clay-court display. There have been quite a few withdrawals this week from the Olympics. For the women’s event, Halep and Karolina Pliskova have both pulled out. There have been a number of WTA weddings this week… Dominika Cibulkova, Ana Ivanovic and Tsvetana Pironkova all tied the knot! It was lovely to see Alisa Kleybanova post a message on her social media accounts. It sounds like she is hoping to be back on a tennis court soon. And yay for this… Rob Steckley has confirmed that he will be back with Lucie Safarova for Montreal! 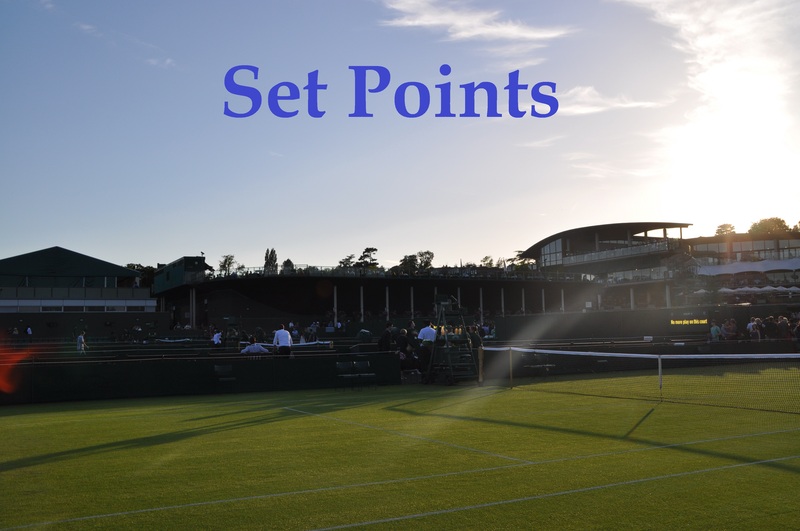 July 17, 2016 in Bucharest, Gstaad, Set Points, WTA.